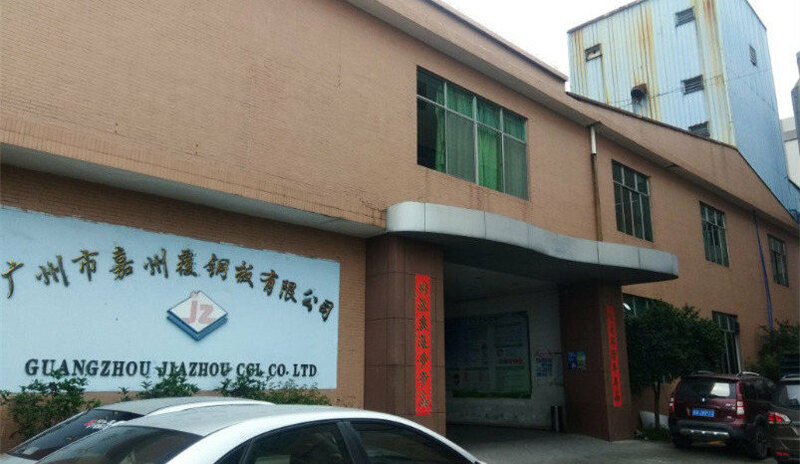 Guangzhou Jiazhou Copper Clad Sheet Co., Ltd. was founded on July 26, 2007, is a private joint-stock technology enterprise which integrates R&D, production and sales. The company passed the ISO9001-2008 quality system certification in 2009. The company is located in Guanghui Expressway Xiancun Export, Guangzhou Zengcheng Xintang Xiancun Industrial Park, Guangdong Province, with beautiful environment and convenient transportation. The company has a wealth of management and operation experience, scientific and technological research and development force, perfect production equipment, a variety of production technology formula, reliable quality assurance and thoughtful after-sales service. With the strength of technology, the quality of products is guaranteed. Guangzhou Jiazhou Copper Clad Sheet has become a well-known manufacturer of PCB at home and abroad, electrical manufacturing enterprises and modern mechanical processing enterprises directly or indirectly suppliers. The company adheres to technological innovation, scientific and technological achievements in the future, has been focusing on aluminum-based copper clad laminate, high-frequency copper clad laminate, thick copper foil copper clad laminate, thickened insulation board and substrate laminate development and manufacturing, continuous innovation. Products are widely used in LED lighting, electronics, communications, machinery, medical, aviation, instrumentation, environmental protection, fashion, new energy and other fields of science and technology. The main products are aluminum-based clad laminate, FR-4 clad laminate, halogen-free clad laminate, thickened clad laminate, thickened insulating laminate and special substrate laminate, metal-based composite laminate and so on, forming a laminate industry based on lamination technology, the company takes science and technology as the first force to cast its own brand.